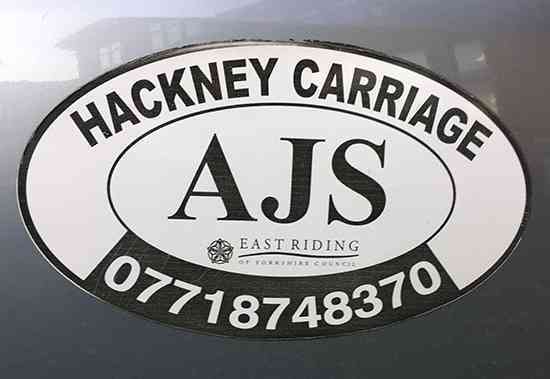 A sister company to All Journey Solutions, AJS Taxi’s are a fully licenced taxi and mini cab hire company providing a reliable and outstanding quality service for customers in and around the Beverley and East Riding area. We offer a 24 hours a day Taxi service, 365 days a year, with highly trained professional staff always available to take care of your transport needs, whether within Beverley or for journeys outside of the town. We have a mixed fleet of cars comprising, Saloons, Estates and People Carriers. We have something to carry everybody and everything, whether its people or items. All our vehicles have passed the stringent tests laid out by the East Riding of Yorkshire Council and comply with Government regulations. All our drivers are fully checked to ensure your safety.